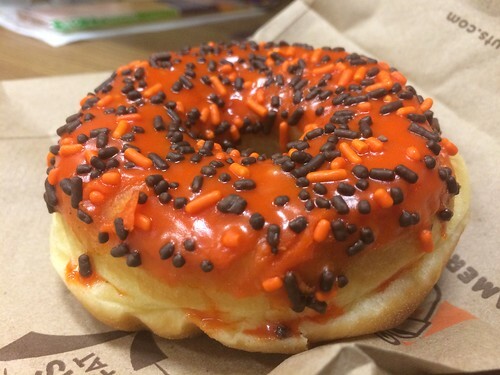 Having a Dunkin’ Donuts counter right at my workplace has certainly been good* for my eating habits. (* — bad) There was last April’s seasonal Cherry Blossom donut, and as September rolls along there’s now a “Festive Fall” Donut. 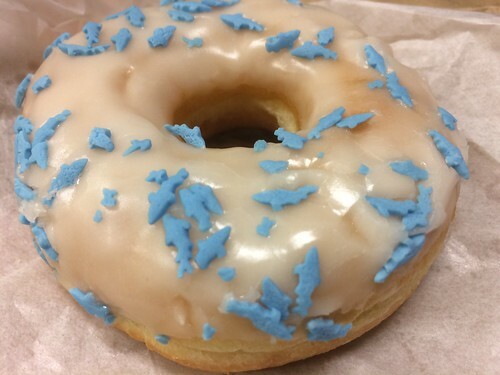 …and for Shark Week, a donut with little blue shark-shaped sprinkles. 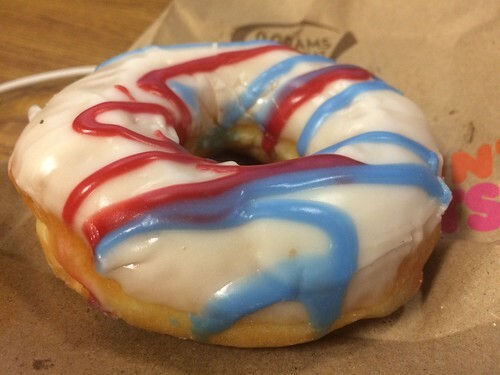 While I’m at this office I will continue to log my novelty donut consumption.